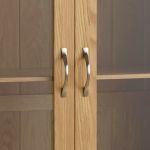 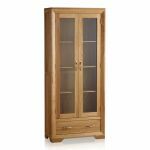 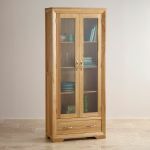 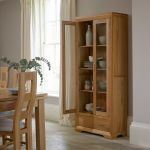 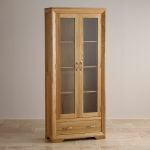 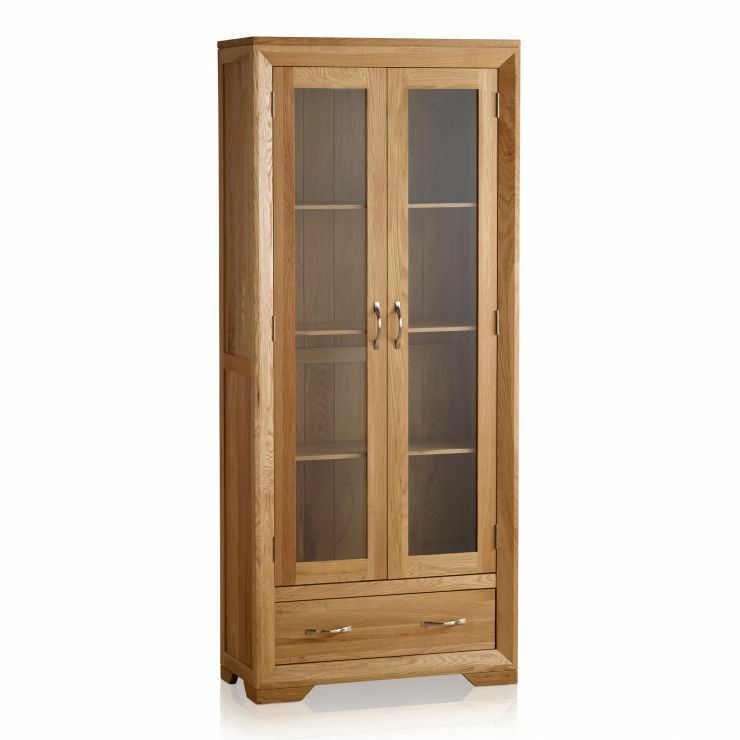 Made using high quality 100% solid oak, the design is distinguished by the bevelled face frame and mitred corner joints that make this a truly practical and exceptionally elegant unit. 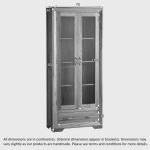 The dresser offers plentiful shelf space for your ornaments, books or dinnerware - all safely stored behind two tall glazed cupboard doors. 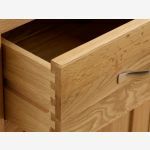 The wide brushed metal handled drawer at the base is made using traditional dovetail joints with solid oak backs and base. 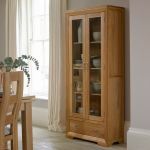 The whole unit stands on gracefully angled feet and has been finished with a fine coating of Furniture Wax to protect and enhance the exquisite grain of the oak.